Bus will leave the Falmouth Art Center parking lot at 8:30 AM — please show up no later than 8:15 AM. Attendees will arrive at Harvard Museums for group admission at 11:00. This is a self-guided experience. Lunch is at 1:00 pm promptly at the Grafton Street Pub, which is walking distance from the museums. Docent Betsy Doud will provide a map for attendees. Price: $80.00– includes bus fare, museum admission, and lunch. also included: all gratuities, snacks, and wine on our return trip to Falmouth. If you sign up online, please indicate your lunch choice in the “notes” section. Refunds will not be given within one week of the trip. Sign up soon; seats fill quickly! 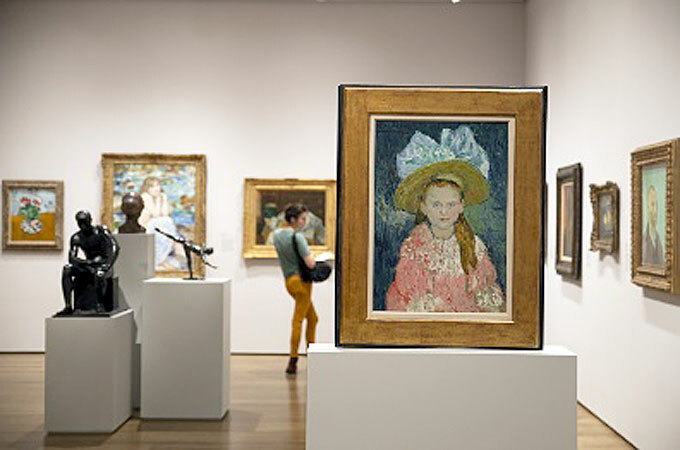 Since 1895, the Harvard Art Museums have welcomed visitors from around the corner and around the world. 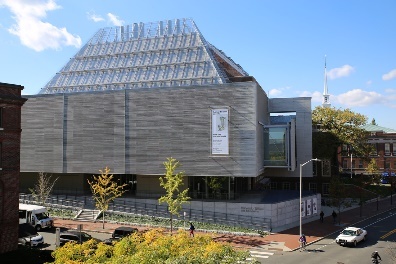 Home to one of the largest and most renowned art collections in North America, we unite three museums—the Fogg, Busch-Reisinger, and Arthur M. Sackler—in one spectacular venue. Masterpieces from our collection of more than a quarter million works include paintings by Vincent van Gogh, Claude Monet, Georgia O’Keeffe, and Jackson Pollock; contemporary works by living artists such as Kara Walker, Ai Wei Wei, and Kerry James Marshall; and a variety of remarkable objects from ancient cultures in the Mediterranean, Near East, and Far East. In addition, an exciting lineup of special exhibitions gives us the chance to showcase an even wider range of works spanning diverse media, genres, and eras. The Calderwood Courtyard is any visitor’s first stop; it offers not only panoramic views into surrounding galleries and up through the museums’ five main floors, but also a gathering space to meet friends, a comfortable spot to enjoy a cup of coffee in Jenny’s Cafe, and access to the array of gifts, books, and memorabilia available in our museum shop. The courtyard and its amenities are public spaces, open to all visitors without paying museum admission. Pop in for a quick look or stay a while—either way, you are welcome here!